Numark, the world’s leading manufacturer of DJ technology, announces participation in the new Bravo series, Platinum Hit. Numark has provided industry-leading music production and performance tools to assist Platinum Hit contestants as they compete through a series of innovative songwriting challenges. Numark has supplied Platinum Hit contestants with the professional choice in Serato software control: the V7 motorized turntable controller, and the X5 two-channel, 24-bit digital mixer. 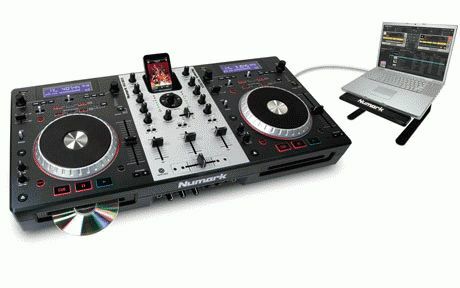 In addition, Numark has provided the MIXDECK all-in-one digital DJ system for the contestants’ use during the competition.